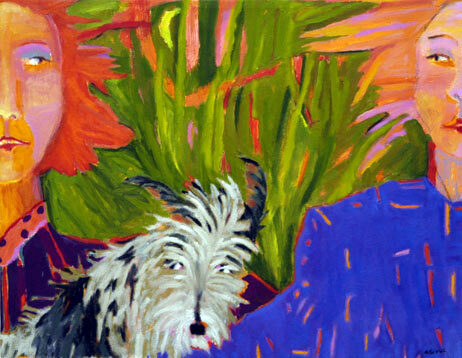 Using a bold and modern impressionistic style, Carole Akins explores the magic of everyday life. She is inspired by the world's endless supply of chance, humor, and the unique personalities of people and animals alike. She celebrates these themes in her whimsical, vivid pieces using colorful bravado and the beautiful, complex combination of words and images.